(L-R) are Kyle Pitre, Nick Phillips, Jason Kordys, Joe Callahan, Robert Ourt, Ryan Williams, Dan Wiedmer and Josh Prentice. 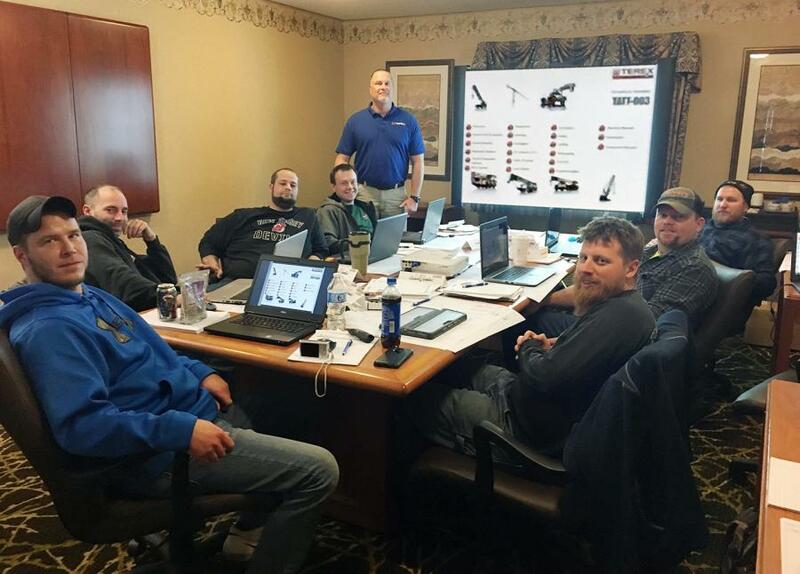 Empire Crane service technicians took a break from the cold and were in class with the Demag service and maintenance training program Feb. 4 to 8. The class taught by Training Instructor Robert Ourt focused on the technical components of the Demag 5 axle family of all terrain cranes, including the AC 130-5, AC 160-5, AC 220-5, and AC 250-5. The week consisted of traditional class room time as well as hands-on integration with IC-1 Plus control system. 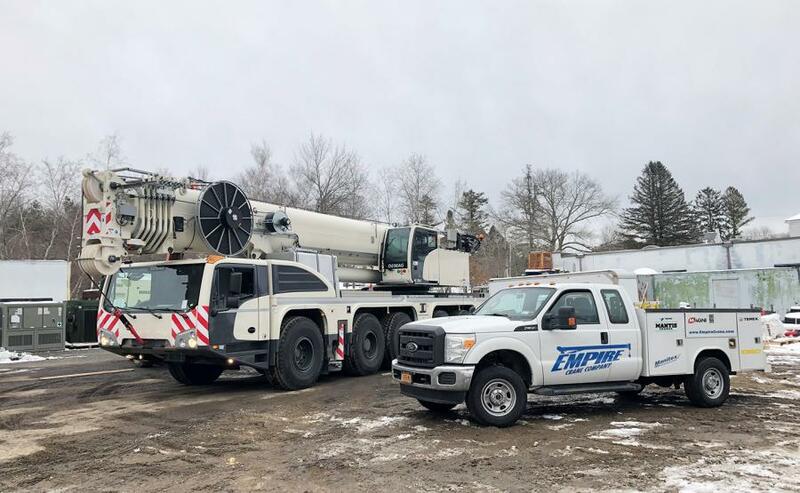 The Empire Crane Demag Qualified Technicians check in a new 2019 Demag AC250-5 to Chet's Welding in Uxbridge, Mass. The IC-1 Plus control system was focal in the course because it is a new control system that many operators are not familiar with. The system contains in-depth system information and diagnostic features that increase operator job flexibility and productivity. "It is very important that techs understand how the new IC-1 Plus system works because we are the frontline guys on job sites. We are the ones that will show operators how to properly set up their cranes or notice when something could be done in a safer way," Josh Prentice, Empire Crane service technician, said. 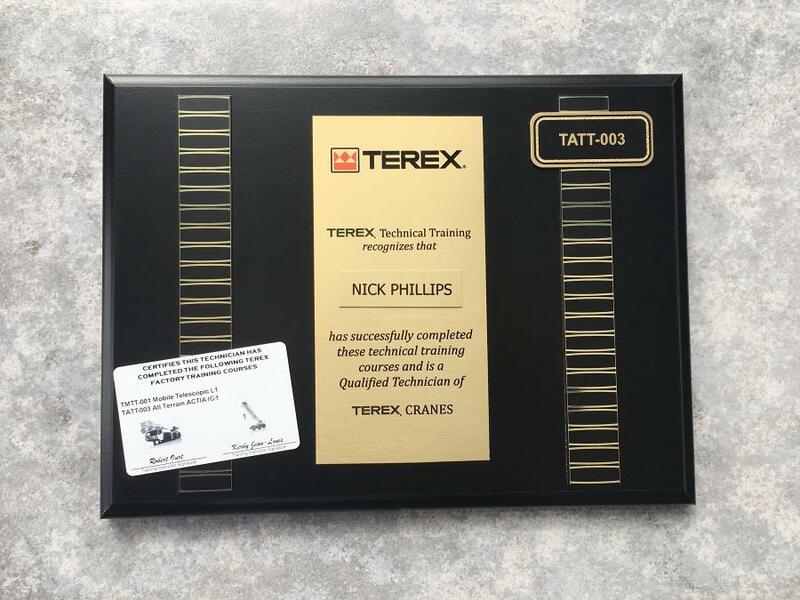 Passing a final exam at the end of the week resulted in techs graduating to be Demag Qualified Technicians. Everything learned in the class will prove valuable when applied in the field to troubleshoot problems, according to the company. With 19 Demag all-terrain cranes on order, including seven AC 45 City cranes, five AC 60-3 cranes, AC 100-4Ls, AC 300-6s, AC 500-8s and other various models, Empire Crane President Paul Lonergan felt it was very important to host this class. "Our technicians are the guys that keep the rig running allowing the buyers to make their revenue," Lonergan said. "With so many Demag ATs coming between now and 2ndquarter 2020, we wanted our technicians to have the latest training so they can properly support our Demag customers." Empire Crane's technicians regularly receive specialized training from multiple manufacturers including Kobelco simulator training, Magni hands on classes, and the Demag service and maintenance program.